There's no other way to state it plainly: this three-week journey to the end of the world is the trip of a lifetime. 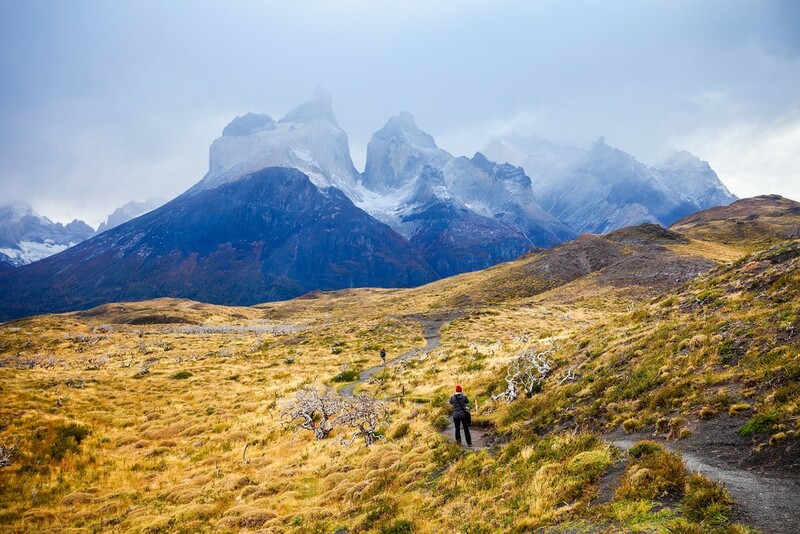 Massive glaciers, towering snow-capped mountains, and gorgeous national parks are just a few of the highlights you'll enjoy during your adventures in Patagonia and Antarctica. Welcome to Argentina! Renowned as the "Paris of South America," and the "Queen of El Plata," the capital city of Buenos Aires is defined by passion. This is exemplified in the rich tango heritage and its citizens' limitless enthusiasm for fútbol (soccer), which is far and away the country's most popular sport. When you arrive at the airport, your driver will be waiting to take you in a private car to your hotel where you can relax after a long flight. But make no mistake: the city will beckon you. 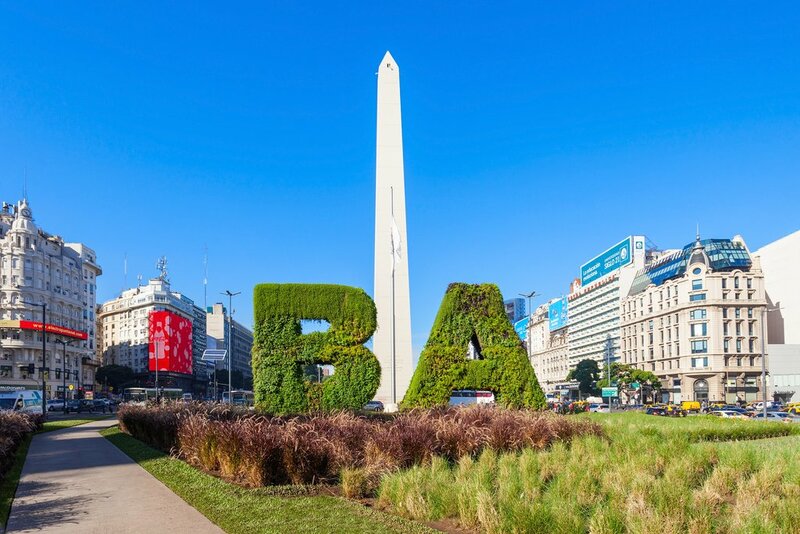 So after a quick recharge, be sure to venture out into the welcoming arms of Buenos Aires and explore. The best starting point would be the city center. Visit the Obelisco, which might be the most famous icon of the city. This obelisk (which even Argentines admit is a little too reminiscent of the Washington Monument) is worth a visit for its location alone. It sits right in the middle of Avenida 9 de Julio, which boasts a whopping 16 lanes, making it the widest city street in the world. Stop by the Teatro Colon, one of South America's premier opera houses. The horseshoe-shaped gallery features 2,487 seats and incredible acoustics. Even if you plan on taking a tour or catching a show here on another day, it's always breathtaking to pass by its exterior. The Colon's neoclassical facade has been the face of one of the most handsome buildings in Buenos Aires since its opening in 1908. Stroll Puerto Madero, an upscale waterfront neighborhood adjacent to downtown. Puerto Madero may be the "new money" finance center of Buenos Aires, but it's also one of the most pleasant pedestrian areas in a city famous for its paths. A romantic stroll involves walking over the canal on the Puente de Mujer ("Woman's Bridge") at sunset. Dine at an Argentine steakhouse or parilla. When night falls and dinnertime arrives, do like the locals and enjoy a thick, juicy steak (Argentina has some of the best beef in the world) drizzled with the nation's famous chimichurri (a garlic, herb, and vinegar sauce). Know that Buenos Aires is a culture that thrives after dark, and it's not uncommon for locals to have dinner well past nine in the evening, especially on weekends. 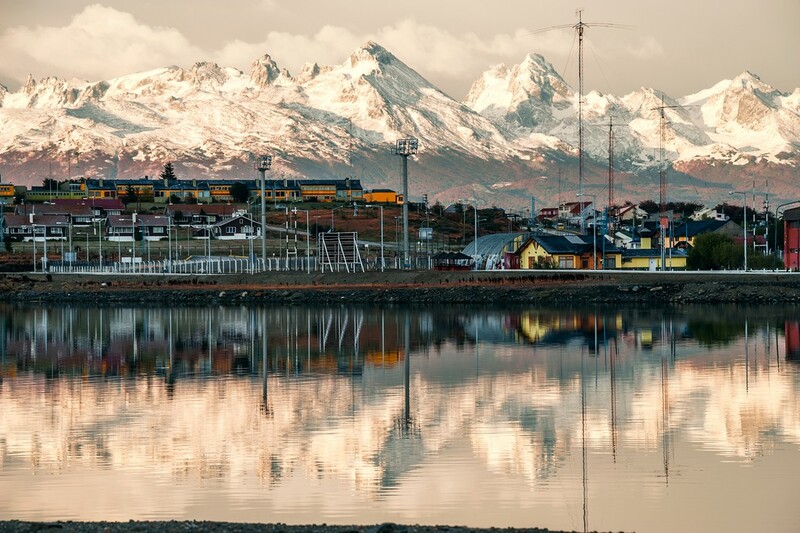 This morning, you'll transfer to the Buenos Aires airport for your flight to Ushuaia, the world's southernmost city at the edge of the vast American continent. Upon arrival, check into your comfortable hotel room and explore your new surroundings. 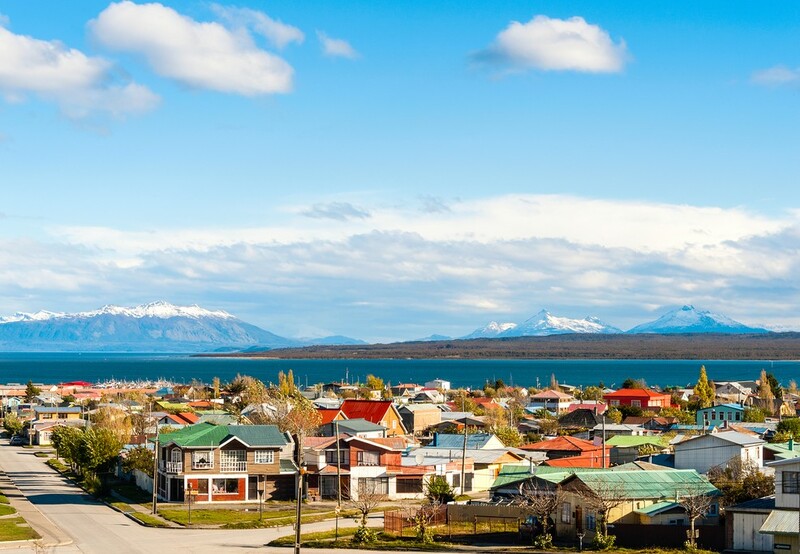 Located in a large bay featuring a rocky coast, Ushuaia features a charming downtown and scenic dock area. Consider visiting the Museo del Fin del Mundo (End of the World Museum) for a fascinating overview of the indigenous tribes that originally lived in this windswept region, or walk over to the Museo Marítimo (Maritime Museum) for a look at seafaring history before checking out the restaurant options in town. Adios, Ushuaia! This afternoon, set sail on a boat to explore the scenic Beagle Channel. Look back at the city at dusk as lights flicker on in the hills: this is the last view you'll have of civilization for the next few days. Today, you're on the open sea. First, you'll sail across the Drake Passage to the Antarctic Convergence. 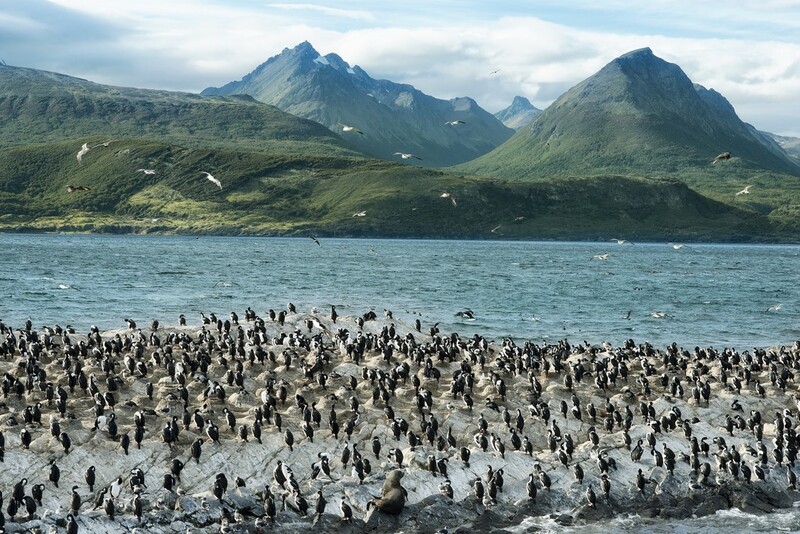 Wildlife abounds here: you may spot cape pigeons, southern fulmars, wandering albatrosses, grey-headed albatrosses, black-browed albatrosses, light-mantled sooty albatrosses, Wilson’s storm petrels, blue petrels, and Antarctic Petrels to name just a few. But don't lose the forest for the trees. There's an exciting attraction ahead—near the South Shetland Islands you'll spot the first icebergs of the journey. 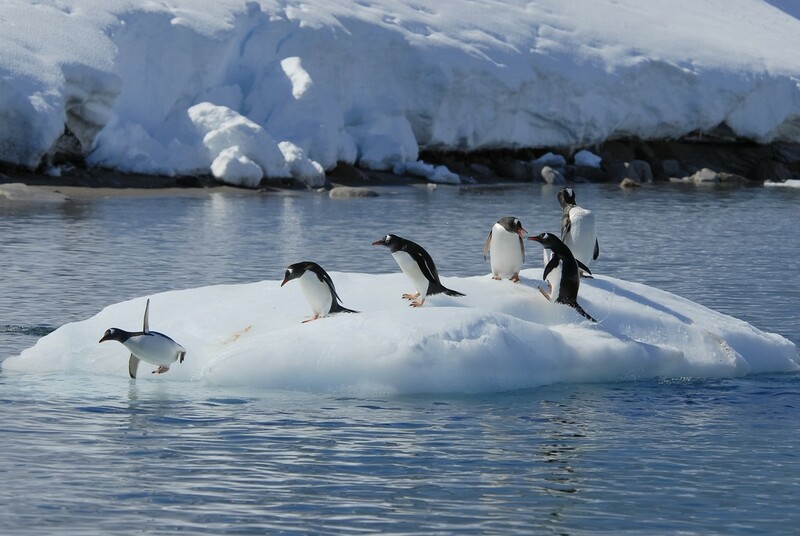 For the better part of a week, you'll explore the coast of Antarctica on the boat. First, you'll approach “High Antarctica,” passing the Melchior Islands and the Schollaert Channel (between Brabant and Anvers Island). Further ahead, on Cuverville Island, a small island located between the mountains of the Antarctic Peninsula and Danco Island, we'll encounter a large colony of gentoo penguins and breeding pairs of brown skuas. Depending on conditions, some cruises have the chance to stop at Danco Island, where you can observe chinstrap penguins and possibly Weddell and crabeater seals. If you miss the chance at Danco Island, hold tight: in Neko Harbor, you'll be able to set foot on the Antarctic Continent and take in a spectacular landscape of glaciers. Next, sail onward to Paradise Bay, with its icebergs and fjords. 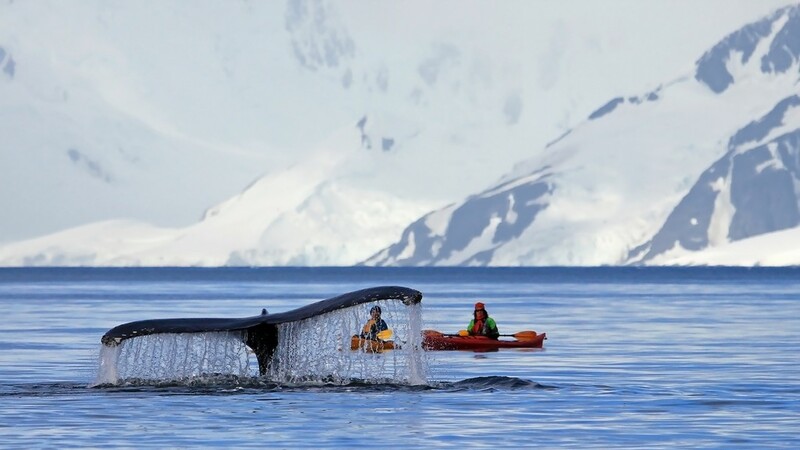 Here, you'll have the opportunity for zodiac cruising around the icebergs, possibly spotting humpback whales and minke whales. The trip continues on the Neumayer Channel. In this area, you may have the chance to visit the British research station Port Lockroy on Goudier Island. Nearby, there's a landing on Jougla Point where gentoo penguins and imperial shags (black and white cormorants ) can be seen. The next few days feature the following highlights: viewing opportunities of Adelie penguins, blue-eyed shags, humpback whales, minke whales, and fin whales on the Lemaire Channel and around Pleneau Bay & Petermann Island, an insight into modern life on the White Continent at a research station, and a spectacular iceberg vista (and the chance to see leopard seals, crabeater seals, and whales) while sailing north through Neumayer Channel towards the Melchior Islands. Rest on the boat for days 11 and 12: the ship is ready to make its long trip back to the port in Ushuaia. 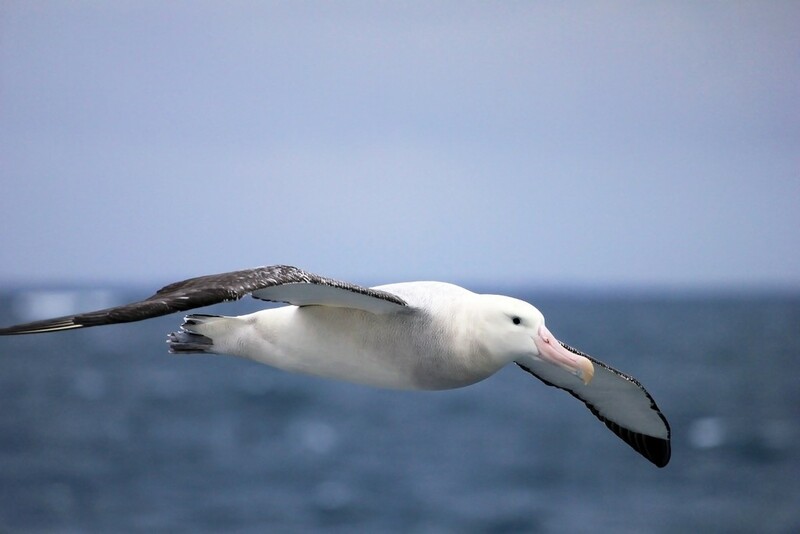 Keep your binoculars handy, though: the Drake Passage is a prime spot for seabird watching. Today, you're in transit. After arriving at Ushuaia in the morning, take a coffee or lunch break before catching your transfer to the airport. 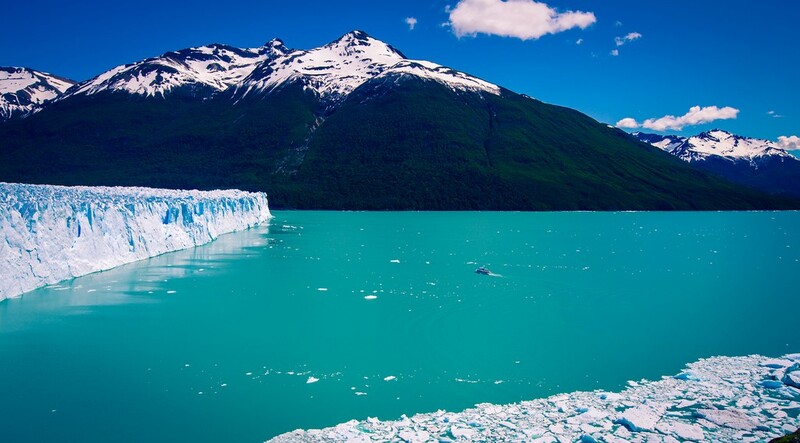 Board a flight to El Calafate: Argentina's glacier capital. Located in the Patagonian steppe, in a dry, dramatic setting, El Calafate sits on the border of Lago Argentino (Argentina’s biggest lake.) 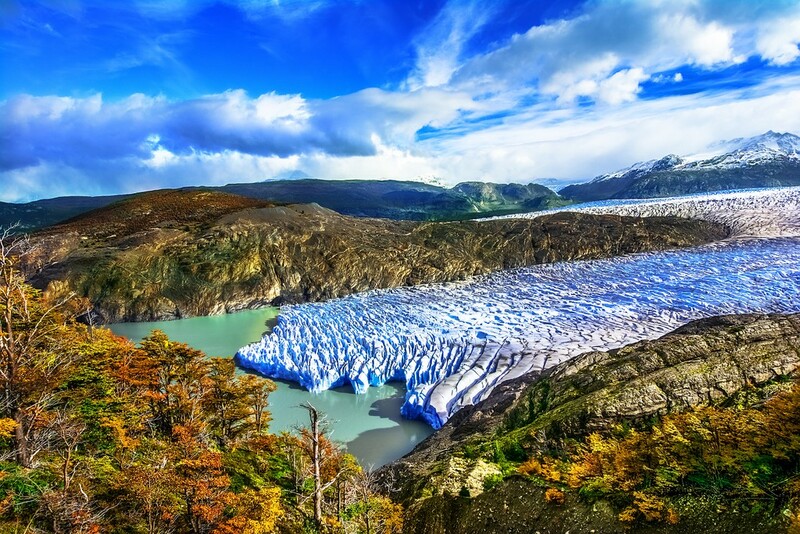 It's the gateway to world-famous Perito Moreno Glacier — one of the only glaciers in the world that is still advancing. Upon arrival, you'll be transported to your hotel. Rest, relax, or walk around town—or if you're up for something more active, try the short hike out to Laguna Nimez, where you'll be rewarded with a beautiful sunset. Today, you'll be picked up from your hotel at 7 am. By 9 am, you'll be aboard another boat, setting sail towards the glacier. Make sure you have sunglasses, sunscreen, a hat, and big water bottle. Your guide will meet you at the opposite shore, where you'll disembark and get fitted for crampons. Once the group is properly suited up, you'll start a guided walk towards the glacier. After an hour of "regular" hiking, the walk on ice begins. 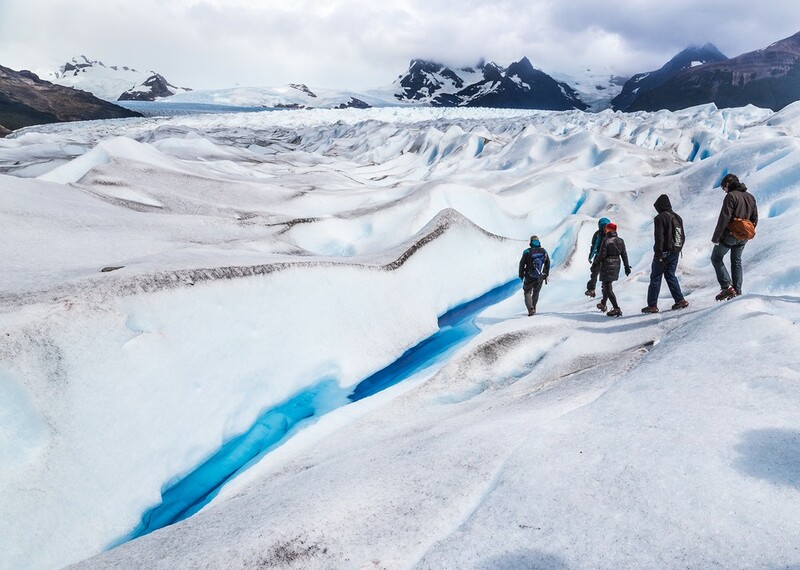 Take in the breathtaking view of a plateau of ice as your guide explains the "ways of the ice," and the difference between moulins, crevasses, and caves. During the three-hour hike, you'll break for lunch on the ice. You'll catch the boat for the return trip around 3 pm. 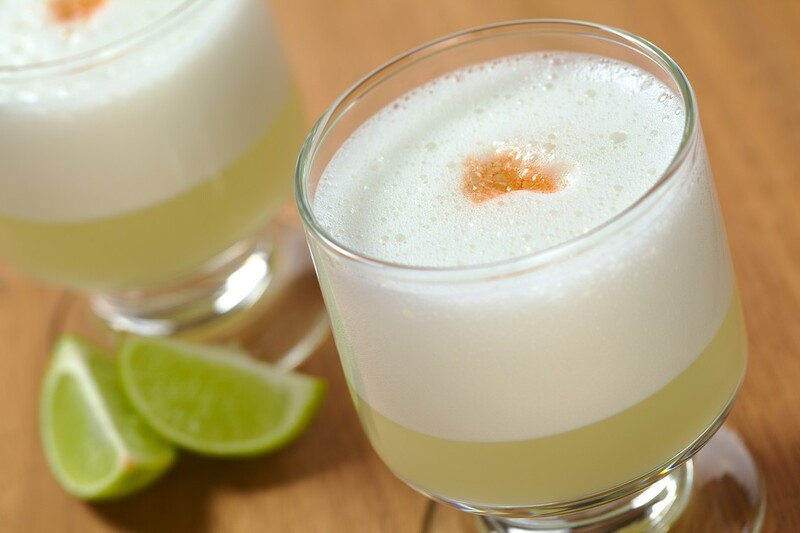 Enjoy an afternoon at leisure, exploring the colorful town and stopping to try a pisco sour — Chile's national cocktail. 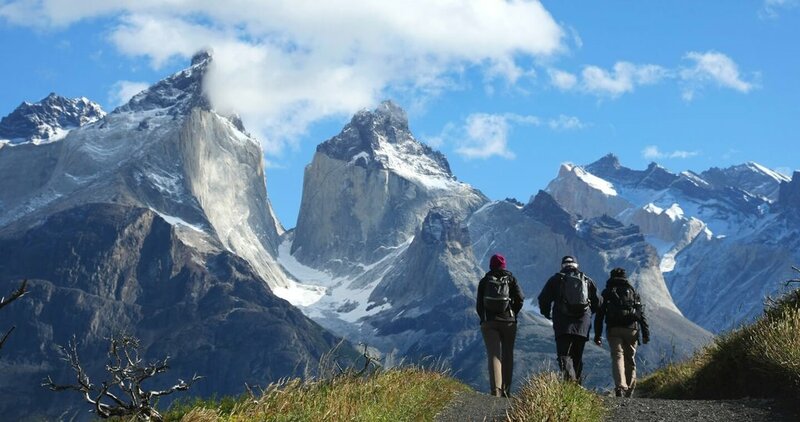 Your trek on the famed W circuit starts with a ride from Puerto Natales to Torres del Paine National Park on the bus. You'll be dropped off at the point where you'll start your self-guided W circuit. You'll sleep in rustic quarters at Refugio Torre Central before the start of the trek. The next day, the hike is steep at first but you'll get great views of Lake Nordenskjöld and Almirante Nieto Mountain. The trail levels off at Refugio El Chileno, where you'll take a break and drop off your luggage. From here, you'll take just a small backpack and continue the trail through an old Lenga forest (1 hour) until the base of the moraine, where a challenging 45-minute uphill hike will lead you to one of the most impressive lookouts in the park. Here, take in the classic view of Torre Sur, Torre Central, Torre Norte, and Cerro Nido de Cóndor. Night two is spent at Refugio El Chileno. The trail then goes past the base of Almirante Nieto mountain, offering lovely views of Nordenskjöld Lake. 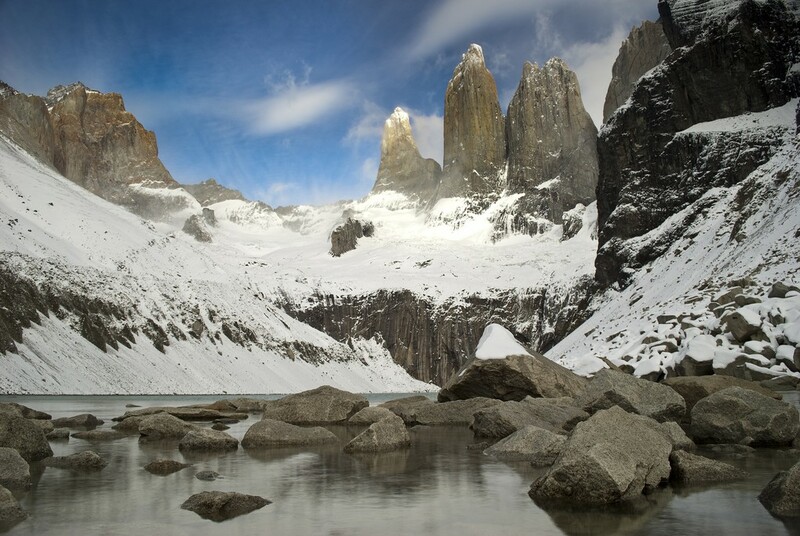 Four to five hours later, you'll reach the base of Los Cuernos and, just beyond, the Refugio Los Cuernos. Many travelers consider this peaceful spot the most charming overnight venue in the park. After another night on the trail, you'll hike for two hours to reach Campamento Italiano, where it's best to leave your larger backpack. Lighter of load, with just a daypack, start the ascent to the French Glacier lookout. 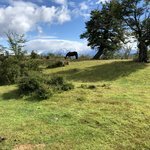 The trail continues to Campamento Británico and a fabulous lookout point where you'll see natural landmarks like Paine Grande, Cerro Hoja, Cerro Máscara, Cerro Catedral, Cerro Aleta de Tiburón, and Cuerno Norte. On the final night, rest up at Lodge Paine Grande. After an early start, you'll head off on the roundtrip hike to Grey Glacier lookout. On the way, you'll see Grey Lake and the glacier in the distance. On the way back, you'll head to Pehoé Lake and catch the catamaran that departs at 6:30 pm, carrying you to Pudeto sector. There, a bus will be waiting to take you back to Puerto Natales, where you'll have a late dinner. Congratulations, you made it! After three weeks of fresh air and adventure, it's time to return to the real world. After you have another pisco sour and an empanada or two, a bus will transport you to either Punta Arenas or Puerto Natales to catch your flight back home. Buen viaje!